their sacramental marriage – he stressed. own gravity, and I felt this on my hands,’ said Rev. Drąg. based on a man and woman is a great virtue and source of happiness for them. 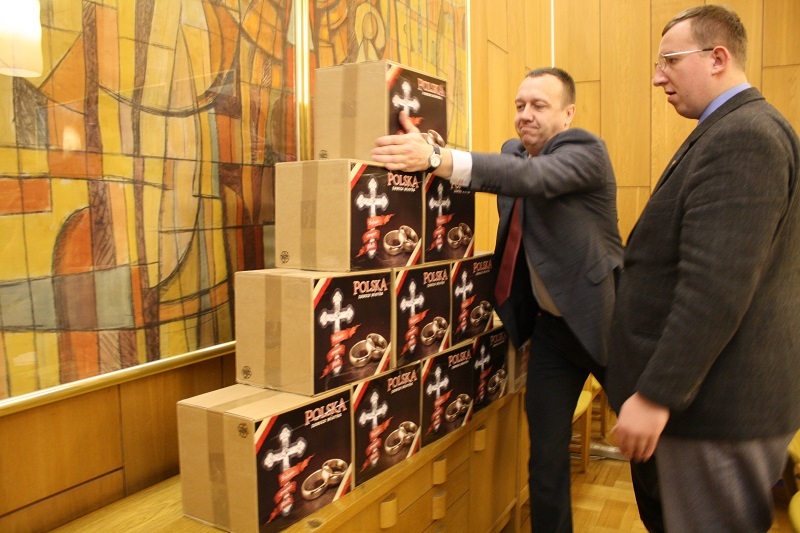 An expression of concern, care and support The Polonia Semper Fidelis campaign arose out of the kindness of the heart and great care for the fate of the Church and its traditional Teaching. Concerned about news coming from the West, laypersons wanted to support Polish bishops, hoping that they would stand up for the Church’s 2,000 - year teaching about the indissolubility of the sacrament of marriage. – It is not an attempt to exert pressure or enforce bishops’ opinion, but a filial request. A request made by children to their parents, their fathers, that they stand up for sacramental marriage and the Catholic family. We hope for this. And this is also what Catholics outside Poland expect; we receive many such voices of hope that our pastors will be those who give testimony in response to designs on the sacred institution of marriage and in the face of a massive attack on the family – said Sławomir Skiba, a member of the Management Board of the Father Piotr Skarga Institute. faithful to the Gospel and the eternal teaching of the Church,’ he added. support in their fight for the permanency of the Teaching. Church. And, as disciples of Saint John Paul II, hierarchs certainly feel particularly responsible for the future of the Church – for its sanctity, the permanency of its Teaching and its universality. – In this particularly difficult situation being experienced by Christian marriages and families, the absence of an official document confirming clearly the Church’s position expressed so far on the aforementioned issues, for example by the Holy Father John Paul II in his exhortation Familiaris Consortio, contributes to a growing number of doubts and deviations from the centuries-long teaching and practice with regard to the sacrament of marriage and the Eucharist – stress the authors of the appeal addressed to His Excellency Archbishop Stanisław Gądecki, the chairman of the Conference of the Episcopate of Poland. – Bearing in mind the firm position of Polish bishops, who bravely stood up for the teaching of the Church and the spiritual heritage of the Polish Pope during synods devoted to the family, I expect with love and trust the confirmation of this teaching by the Conference of the Episcopate of Poland - we can read in the letter of laypersons. Remember: Polonia Semper Fidelis – Poland always faithful!